Back in January, the CTC issued a report that drilled into the debt issue facing the NCRA and said the authority could pay off those debts through a combination of state bailouts and a renegotiated contract with the NWP Co., which was first signed in 2006 and enacted in 2011. Or it could just go the bailout route for the entire debt, the CTC wrote. "Total debts are $9.1 million," the CTC wrote in January, "and NCRA has no liquid assets or realistic prospects of future cash flow from operations to pay off this debt, he says. Many of the liabilities are delinquent and others are vulnerable to collection demands by the creditors." Enter McGuire, who says that the CTC estimates have spiked by upwards of another half-million dollars since January. The CTC will ultimately sign off on any deal reached to settle the NCRA debt. 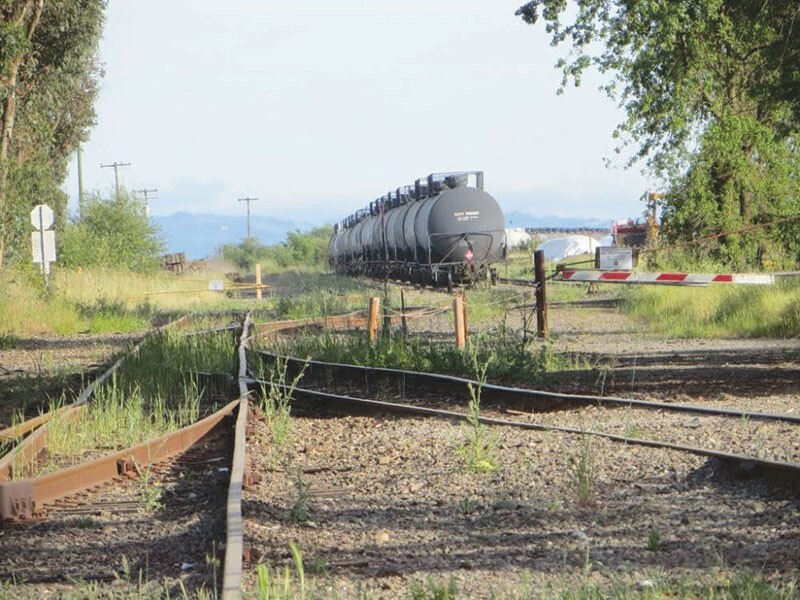 Under the Healdsburg senator's bill, once its past debts are paid off, the NCRA would be dissolved, and the tracks it maintains would be split between two agencies, with a dividing line at the Mendocino County town of Willits. The tracks north of Willits would be maintained by a new entity called the Great Redwood Trail Agency. The tracks south of Willits would be managed by the Sonoma-Marin Area Rail Transit (SMART), which currently uses about 45 miles of railbed for its passenger trains, and has plans to eventually expand to a 70-mile corridor spanning Sonoma and Marin counties. The NWP Co. now runs freight trains along 62 miles of track, from Lombard to Windsor, and shares track with SMART. The SMART train was supposed to include a pedestrian and bike path along the whole route upon completion. According to SMART online maps, that's a work in progress, and there are numerous stretches along the route where the promised bike and pedestrian pathway is either in progress or put off to a future date. McGuire's bill also expands the scope of the state-created SMART board of directors to "consider the need and financing for employee workforce housing," as it adds another board member to the new rail agency drawn from Mendocino County. The SMART board is currently comprised of elected officials from Sonoma and Marin counties. Under McGuire's bill, SMART would be responsible for passenger and freight service in the southern section of the right-of-way, "and will build the southern section of the Great Redwood Trail." McGuire says his bill is supported by organizations ranging from the Sierra Club to Trout Unlimited, and that it was one of the Green California "Hot List" of must-pass bills this year. He is pitching it as a boon to a local economy to the north of Sonoma County, which now over-relies on cannabis production. And, he says, it's supported by SMART, which pushed for the language in the bill that would create workforce housing for rail workers. "The Great Redwood Trail will be a significant economic driver for the rural North Coast communities it would wind through," he says as he highlights the potential benefit to tourism and local economies. "California outdoor recreation is one of the fastest growing sectors of the Golden State's economy. It generates over $92 billion a year here in California, is responsible for nearly 700,000 jobs with over $30 billion in wages, and brings over $6 billion in tax revenues back to state and local communities. The trail will attract hundreds of thousands of locals and visitors alike to hike this spectacular landscape and inject needed funds into our small, rural economies." The newly established Great Redwood Trail Agency would have its own board of directors drawn from regional elected officials. The bad news is that it will be a while before it's all sorted out. "We've always known that this will be a multi-year process," McGuire says. The good news is that the state is now fully tuned in to the NCRA fiscal debacle and its implications. This year's senate budget would provide $4.1 million, split between a master plan for the trail ($1.5 million) and long-overdue repairs at NCRA rail crossings ($2.6 million), which, McGuire says, have been neglected for decades.